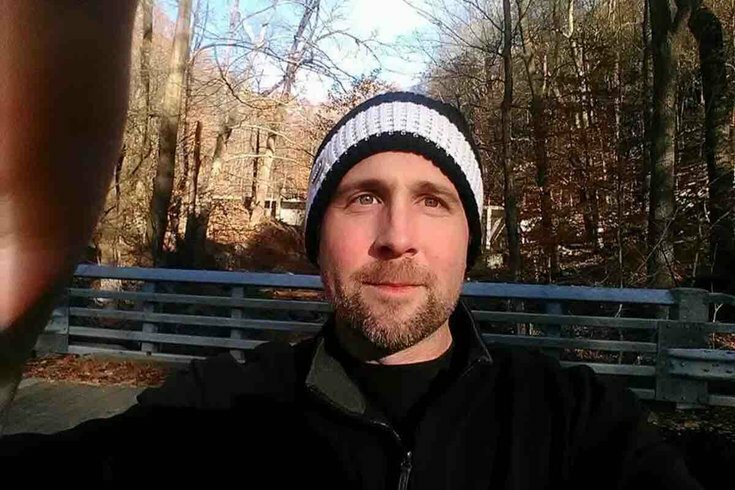 Michael Camiso, 39, of Burlington County, went missing while hiking the Appalachian Trail. He died while attempting to cross the Kennebec River in Maine. A Burlington County man who went missing earlier this month was found dead this week after apparently drowning during an attempt to cross the Kennebec River in Maine. The body of Michael Camiso, 39, was discovered Tuesday in the town of Caratunk, where construction workers came across his remains. Camiso, a disabled military veteran, had spent much of the spring hiking the Appalachian Trail. He was approaching the end of his journey when he reached the Kennebec River in west-central Maine. Officials told WABI5 in Maine that Camiso arrived at the river crossing late last month. He reportedly told a member of law enforcement he was going to try to swim across. The officer warned Camiso not to do so because water level was too high. On May 11, the Somerset County Sheriff's Office said property of Camiso's had been found and turned in to the agency. They said his last known location was in the Caratunk area. A GoFundMe page set up by Camiso's family mourned his death and sought help to cover the cost of transporting his body back to New Jersey. Our beautiful, brilliant, funny, kind brother was a disabled veteran. He suffered from a brain injury sustained while serving his country, and as a result, he struggled with mental illness & depression. The one thing that truly made him happy was being outside, in nature. Mikey died tragically while hiking the Appalachian trail. He drowned trying to cross the Kennebec River in Maine, not far from the trail’s end. His body was discovered yesterday by the authorities in Maine. We need to bring our brother home to lay him to rest. Unfortunately, we have learned that the cost to do so is very expensive. The costs that we have been quoted have been unexpected. Those who wish to donate to the campaign can do so at the link below.